First, take a golf ball size amount of model magic or clay and role it out flat. You can flatten it with your hands or use a rolling pin. Next place the flattened out model magic on top of the egg. Cover the whole egg by smoothing the edges down towards the bottom of the egg. Gather the excess model magic at the bottom, then remove it. Don’t worry if the bottom looks a little rough, it will be covered up later. Flatten the bottom out and stand it upright to dry overnight. Once the egg is dry, it’s time to paint! 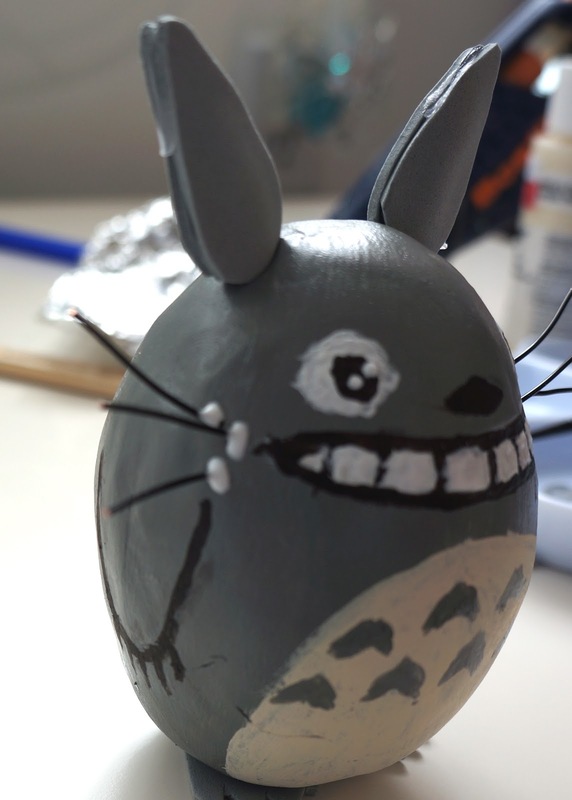 Paint the entire egg grey. 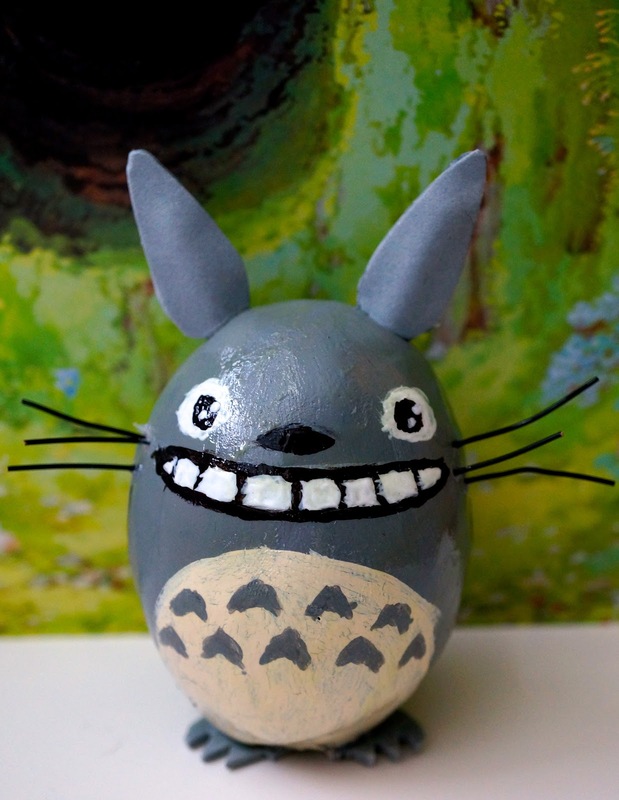 You may find it easier to poke a wooden dowel or skewer into the bottom of the egg so you can hold it and rotate it while you paint. You will probably need two coats of grey paint. 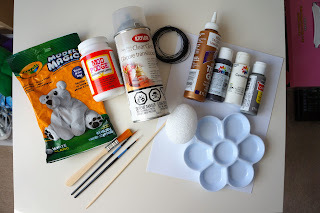 While you are waiting for the paint to dry you can start on the ears and feet! Draw the shapes shown above onto some cardstock or plain paper, then cut them out. Trace 4 of the triangles for the ears, and one of the squared-heart for the feet onto some grey foam, felt or paper, then cut out the pieces. 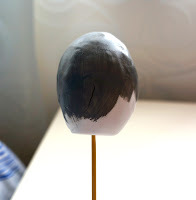 If you decide to use paper you will have to paint it grey afterwards. Take a wooden dowel or skewer and cut two 2" pieces from it. 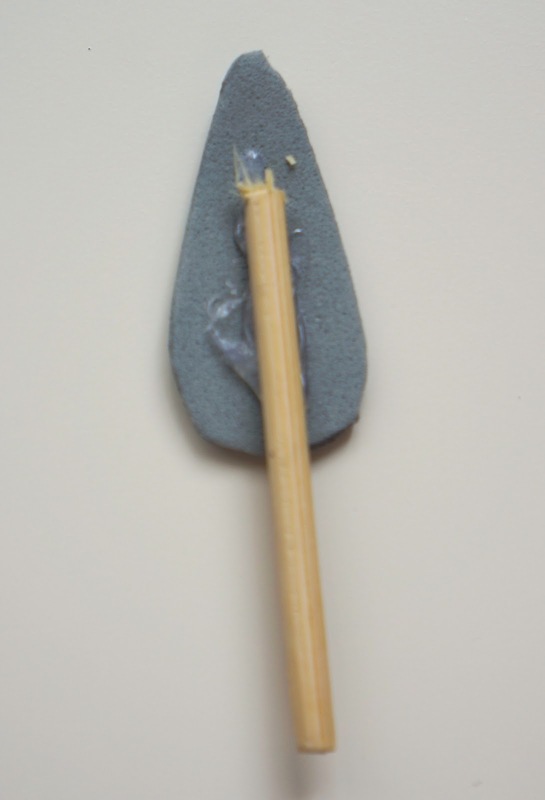 Take 1 of the 4 ear pieces and glue one of the skewer pieces onto it, then glue another ear piece onto that so that the dowel is in between the two ear pieces. Repeat this for the other ear. 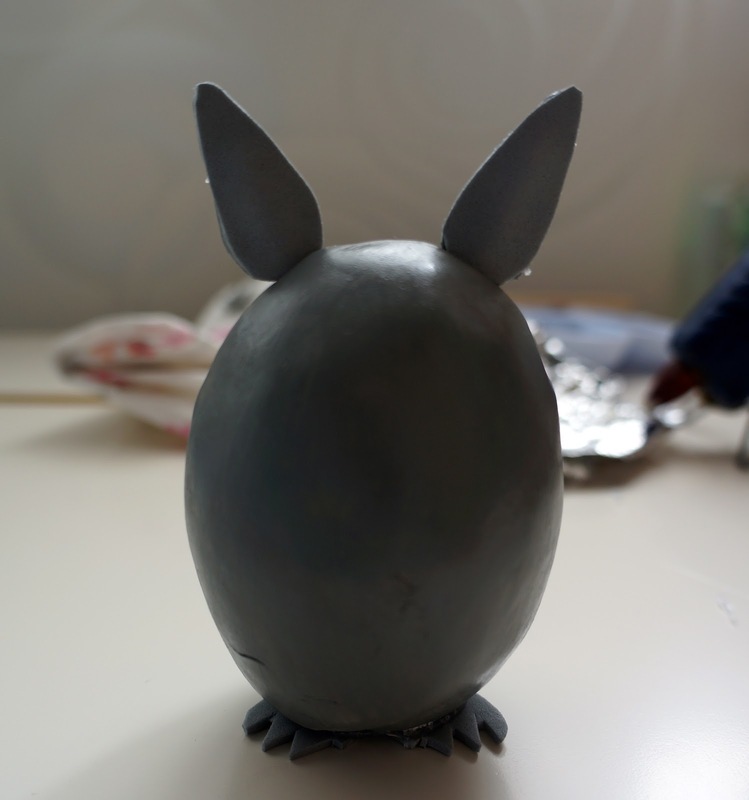 Glue the feet onto the bottom of the egg.You will probably want to trim the excess that hangs off of the back of the egg. Then cut triangles out of the feet to create toes. 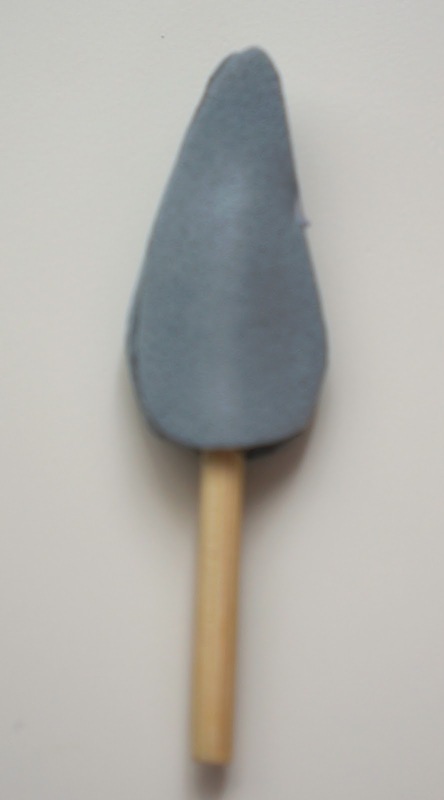 If you want you can also glue a grey pom-pom onto his back end for a tail. Stick the ears into the top of the head. 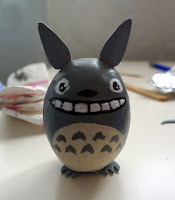 Using a picture of Totoro as guidance, paint his features on using the white, black and cream acrylic paint. 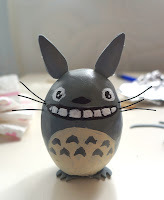 Other than painting eyes, a nose, a mouth, his stomach area and triangle design, you can also paint him some arms on the side of the egg. Once the paint is dry, you can give him some whiskers. Use either some thin black wire, or paint them on. You might want to dot some glue around where the wires are so they don’t pull out of the egg. Finally, you can spray/coat him in a clear gloss to protect him and make him shiny. If you build one, make sure to tweet us a picture (@otakucrafts) or add a picture to our DeviantART group (#otakucrafts)!